Rev. Terence Dicks is man hoping mankind will one day treat each other with compassion and respect the Creator's creation. A Progressive Democrat, Rev. Dicks honors those who have carried the civil rights mantle with a goal of equality and dignity like late soul singer Mr. James Brown, the late Dr. Martin Luther King, Jr. and his late wife Coretta Scott King, Muhammad Ali, Jesse Jackson, Grace Lee Boggs, Cesar Chavez and many others who fight the good fight in their neighborhoods every day. (Athens, Georgia) - Georgia has "produced a lot of interesting and great writers" including many famous African American literary talents who are profiled at the Georgia Writers Hall of Fame in Athens, Georgia. People know about authors like Moreland, Georgia native Erskine Caldwell, who wrote Tobacco Road (a real road and story about Augusta) – and Margaret Mitchell – who wrote Gone with the Wind. 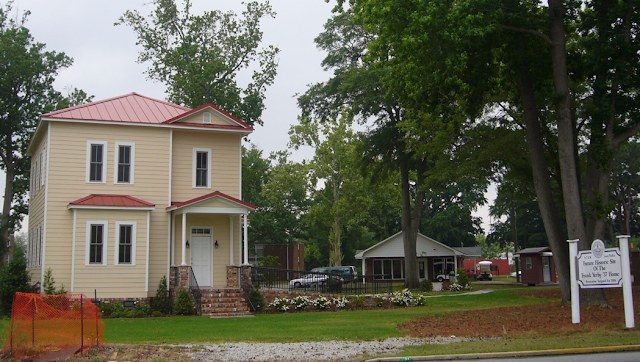 The Caldwell novel Tobacco Road depicts a setting just south of Augusta during the worst years of the Great Depression – and to this day the real Tobacco Road is in the same area. Gone with the Wind is set in and around Atlanta during the American Civil War and Reconstruction. "A lot of people don't think that former Pres. Jimmy Carter, Johnny Mercer and Rev. 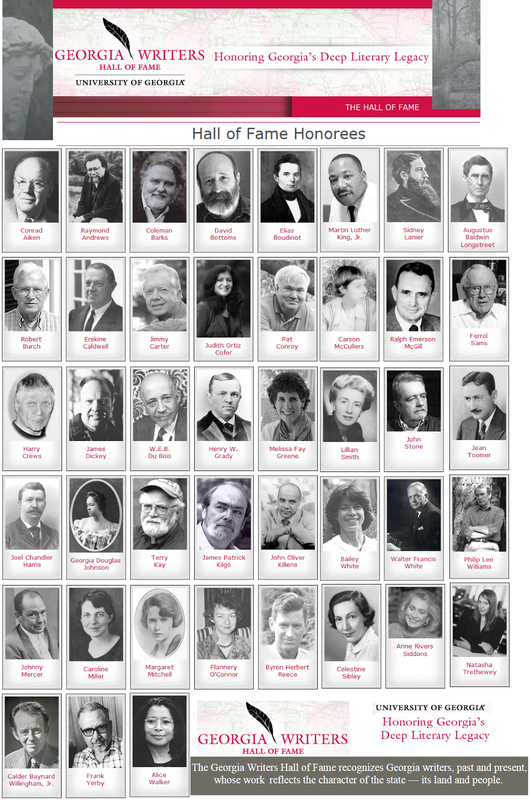 Dr. Martin Luther King, Jr. are celebrated at the Hall of Fame – but they are," said Rev. 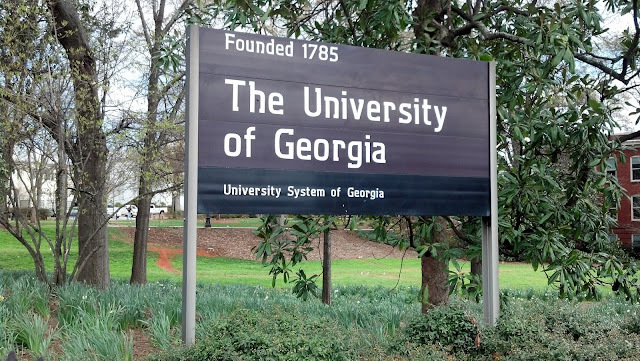 Terence A. Dicks, who took the photos while in Athens to attend an event at the University of Georgia on behalf of Georgia Legal Services Program. "They are all great writers in their own right," Rev. Dicks said. Mercer was a poet, lyricist, songwriter and singer born in Savannah. The late Dr. King and former Pres. Carter worked on award-winning social justice issues. William Edward Burghardt "W.E.B." 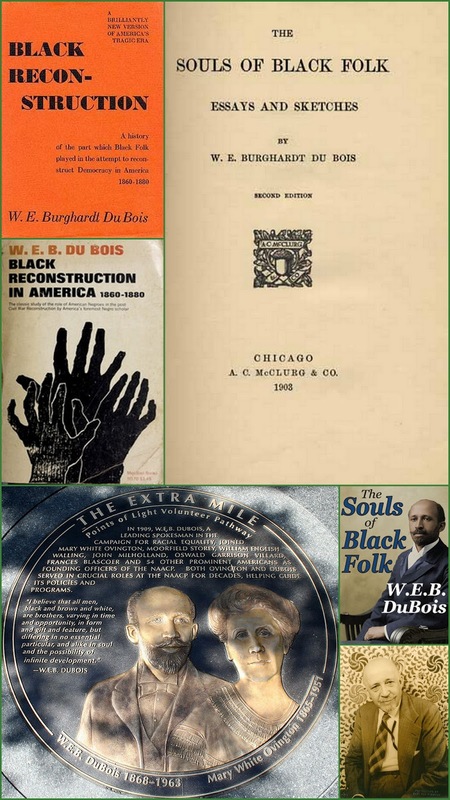 Du Bois used "force of mind and skill of pen" to fight for 'human equity' while battling "myth of inferiority"
Various significant books, writings by author Burghardt "W.E.B." a national monument installed in the sidewalks of Washington D.C. 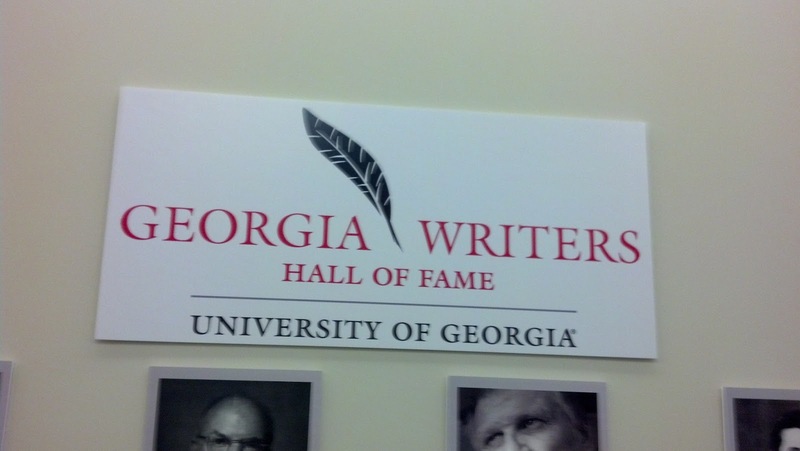 Among those honored in Athens is prolific and celebrated African-America author William Edward Burghardt "W.E.B." 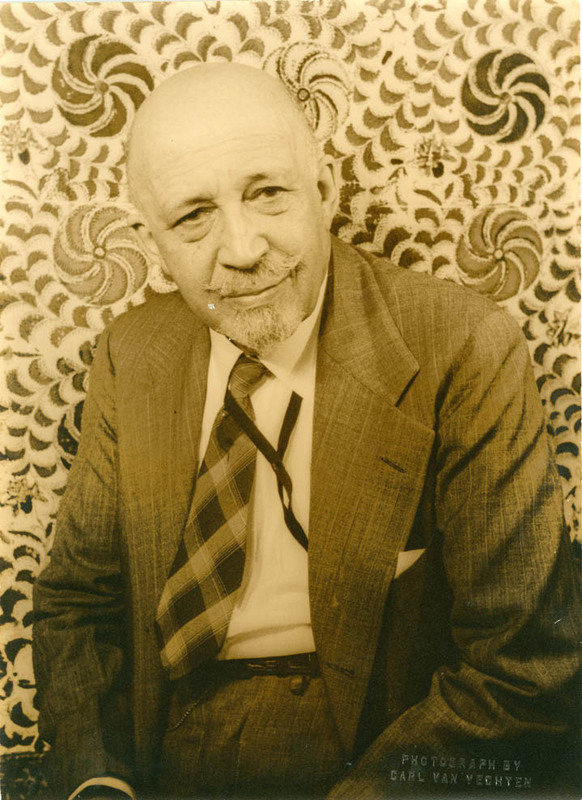 Du Bois (Feb. 1868 – Aug. 1963), who wrote the landmark collection of essays, The Souls of Black Folk. Perhaps most important, Du Bois penned a (1935) great work titled Black Reconstruction in America – that effectively debunked and challenged the absurd – but popular notion – that blacks were responsible for the dismal failures of the Reconstruction. The first African American to earn a doctorate at Harvard, Du Bois was a professor of history, sociology and economics at Atlanta University – and in 1909 was one of the co-founders of the National Association for the Advancement of Colored People (NAACP). Du Bois "recognized that the keystone in the arch of oppression was the myth of inferiority and he dedicated his brilliant talents to demolish it," said Martin Luther King, Jr. The first African-American to be awarded a Harvard Ph.D., Du Bois spent nearly a quarter century on the faculty of Atlanta University as professor of history and sociology (1897-1910) and head of the sociology department (1934-1944). 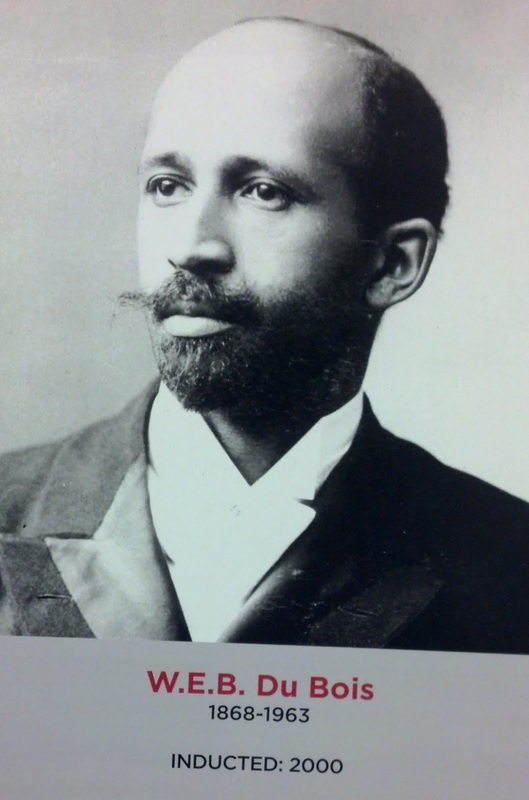 Du Bois's writings and his intellectual guidance as teacher, researcher, and editor at Atlanta University contributed immensely to its reputation as a preeminent resource for the study of race in America. Du Bois was praised by the editorial board of "Phylon," the Atlanta University scholarly review of race and culture upon his retirement after spending 22 years as the "Phylon" one and only editor – in fact its first editor-in-chief (1934). DuBois was one who "propagated a doctrine of human equality in distinguished and inventive writing. . . whose force of mind and skill of pen have been exercised in behalf of the world's darker peoples for more than half a century." 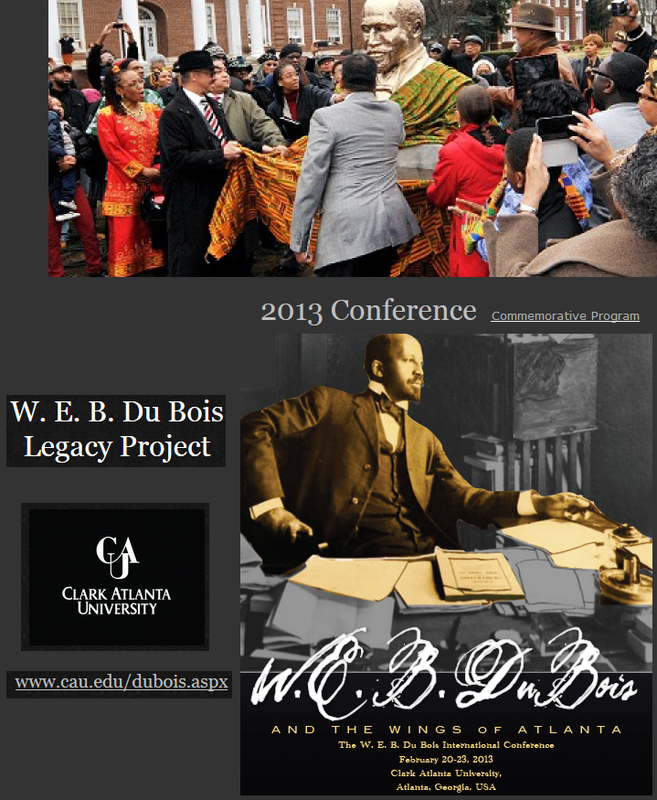 The April 2013 Writers’ Conference n the campus of Clark Atlanta University, explored a 21st Century approach to W.E.B. 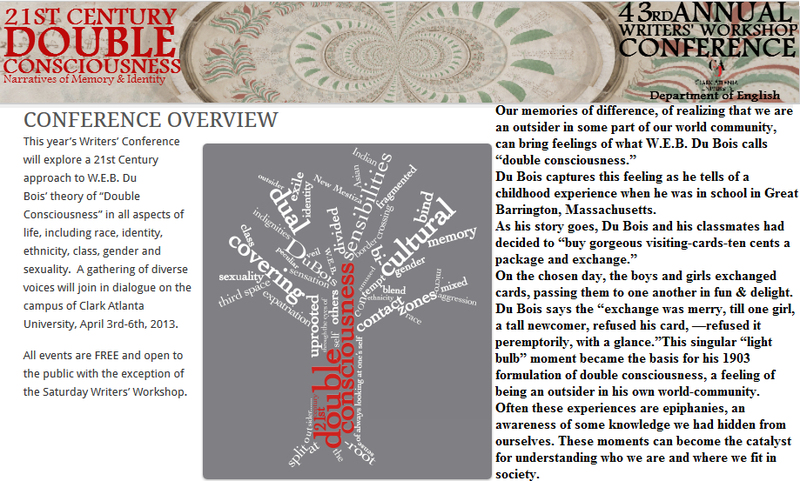 Du Bois' theory of “Double Consciousness” in all aspects of life including race, identity, ethnicity, class, gender and sexuality. Augusta native and 1938 Paine College graduate Frank Garvin Yerby "was a prolific writer who is greatly respected at Paine College," Dicks said. 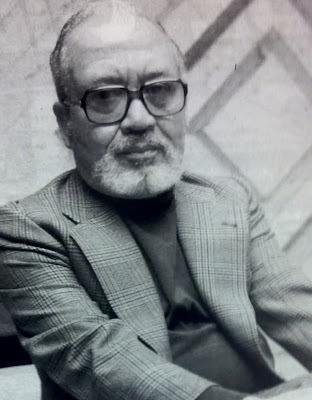 Yerby wrote 33 novels that sold 55 million copies and were translated into 22 languages, and three became motion pictures: Foxes of Harrow (1946), The Golden Hawk (1948), and The Saracen Blade (1952). Born September 5, 1916, to Rufus Garvin and Wilhelmina Yerby, Augusta, GA native Frank Yerby began his literary career as a writer of fiction protesting the marginalization of African-Americans in American society especially in Southern society at whose hands he did suffer. His career ended while living a self-imposed exile in Madrid, Spain and where he became its best-selling author of historical-fiction. Yerby suffered through his early life in Augusta that was tormented by racial conflict, and used that racist pathos and suffering as a theme that would dominate his fiction. In 1937, Yerby earned a B.A. in English at Paine College. The son of a racially mixed couple, Yerby believed himself to be black. As a young man, he was unable to be accepted by either white or black society. "When I was young, a bunch of us black kids would get in a fight with white kids and then I'd have to fight with a black kid who got on me for being so light." In addition to his writing talents, Yerby was a professor at several universities over his life time. 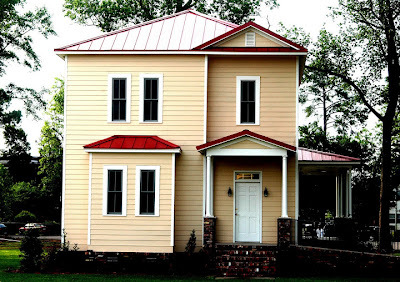 Constructed in the early 20th century, the original Yerby home in Augusta was moved in Feb. 2004 from 1112 Eighth St. – a mile and a half to Paine College property – specifically to 1718 Laney-Walker Boulevard (at Druid Park Avenue). The building was recently demolished just over a year later (2005) because it was in poor condition including asbestos, lead, and structural issues. A replica was built in its place. In Feb. 2013, the Paine College School of Arts and Humanities hosted the Inaugural Frank Yerby Literary Symposium. Yerby was born in Augusta on September 5, 1916 and died on November 21, 1991 in Madrid, Spain. 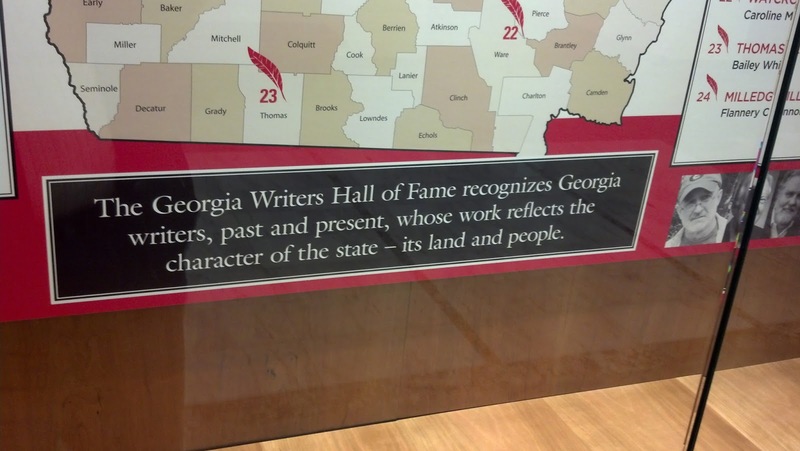 "I would invite teachers to do field trips to the Georgia Writers Hall of Fame in Athens," Dicks said. "Young Africans Americans should find out about their heritage and history." "You do not have to go to New York or Chicago to learn about legendary African American authors – you can go library and campus of the University of Georgia in Athens," Dicks said. "It's a great campus – and will help young people to start thinking about college." Dicks has long been a prolific reader of African American history – and believes you are never too young or old for blacks to learn about their heritage. "I was going to run for political office in Augusta and wanted to gain a stronger sense of who I am," said Dicks, who "made the choice to work in the media and restaurant business instead of going to college." These types of exhibits should inspire African American youth to go to college. "Don't wait until college – and you don't have to be in college – to learn these things," Rev. Dicks said. "There are a lot of people on a journey of discovery" especially now that Barack Obama is America's first African American President. "It is no longer what we used to call black history – it is history," Rev. Dicks said. "It's become real to so many because of Pres. Obama's second term," he said. The Georgia Writers Hall of Fame was established in 2000 as part of the Hargrett Rare Book and Manuscript Library to honor Georgia writers and to introduce the public to the library's rich collections for research into Georgia literature and cultural history. 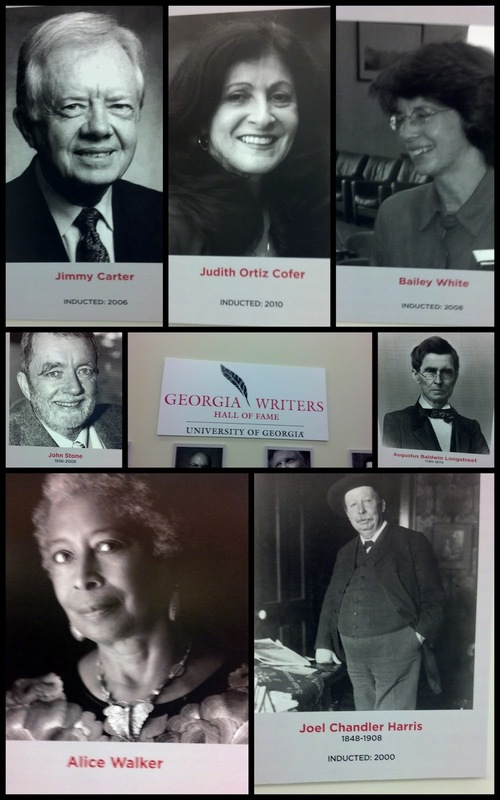 The ex-Atlanta Journal reporter is a twentieth-century cultural phenomenon due to the amazing popularity of her 1936 southern romance novel Gone with the Wind and its heroine Scarlett O'Hara. From a Plains, GA peanut farmer to Commander-in-Chief Pres. Jimmy Carter. Hall of Fame Honoree Rev. Dr. Martin Luther King, Jr.
A true American hero, a martyred man of action and a sculptor of words who became the most influential author/orator to emerge from the Civil Rights movement's deep ranks of eloquent clergymen and fiery organizers. His "I Have a Dream" speech, an oration of historical and literary preeminence which American schoolchildren study alongside the Declaration of Independence and the Gettysburg Address, is widely regarded as the most influential American speech of the 20th century. Born on Dec. 17, 1903 at a home in a wooded area outside Moreland, Georgia, Caldwell was the only child of Associate Reformed Presbyterian Church minister Ira Sylvester Caldwell and his schoolteacher wife Caroline Bell Caldwell. Rev. Caldwell's ministry caused the family to movie to southern states including Florida, Virginia, Tennessee, South Carolina and North Carolina. Frank GarvinYerby was born in Augusta, Georgia, on September 5th, 1916, the son of a black hotel doorman, Rufus Garvin Yerby and his white wife, Wilhelmina. MLK Author Derek H. Alderman: "Martin Luther King, Jr. 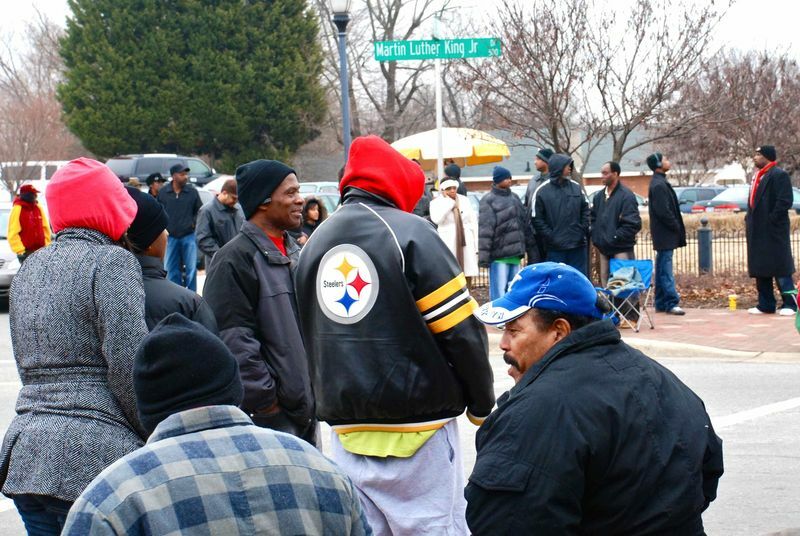 Streets in the South: A New Landscape of Memory." MLK Author Jonathon Tilove: "Along Martin Luther King: Travels on Black America's Main Street"